Then go to the Hardware tab and scroll down the list to access the Boot Order menu. 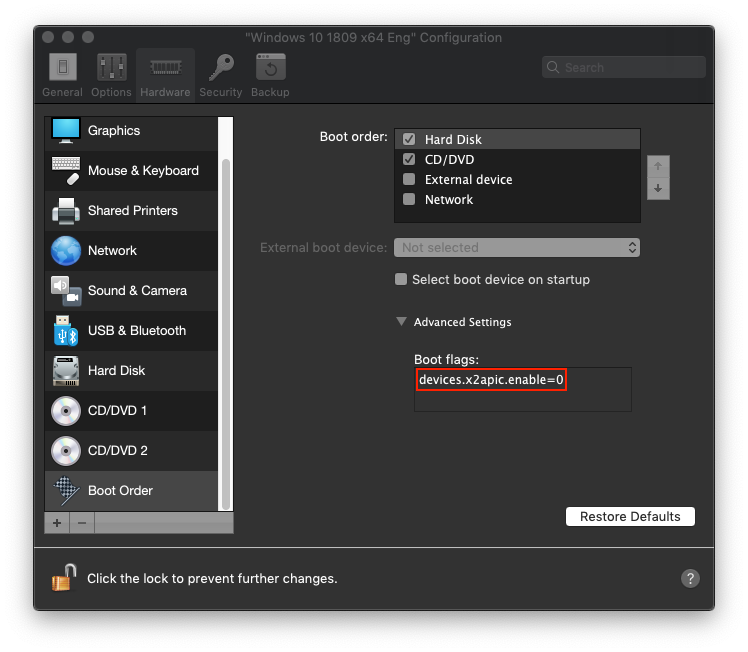 Click on the Advanced Settings drop-down menu to access Boot flags section. Close the configuration window and start the virtual machine.